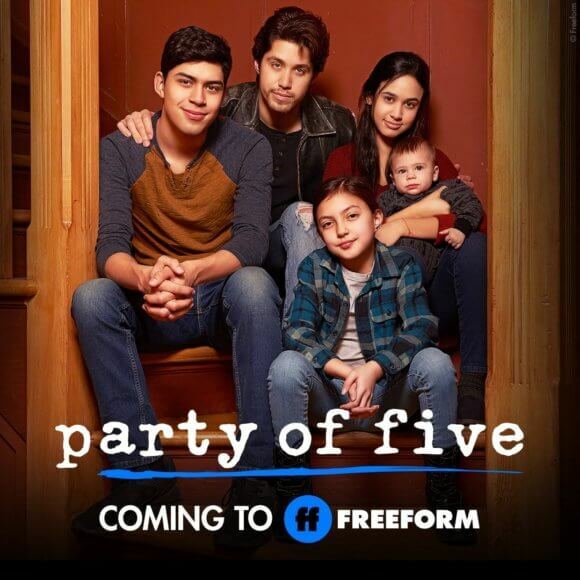 The original Party of Five series creators Amy Lippman and Chris Keyser are on board as writers and executive producers of the reboot which just earned a series order from Freeform. The network has given the new take on the one-hour drama a 10 episode first season order. Lippman and Keyser are joined on the writing team by Michal Zebede who also serves as a co-executive producer. Rodrigo Garcia directed the show’s pilot and executive produces. “We couldn’t be more excited to bring Party of Five to another generation of fans. Amy, Chris and Michal’s distinct voice makes this series incredibly relatable and authentic. We are truly proud to be part of this journey,” said Jeff Frost, president, Sony Pictures Television and co-presidents Chris Parnell and Jason Clodfelter. The original series ran for six seasons, beginning in 1994, and starred Scott Wolf, Matthew Fox, Neve Campbell, and Lacey Chabert. The cast of the reboot includes Brandon Larracuente (13 Reasons Why) as Emilio, Emily Tosta (Mayans M.C.) as Lucia, Niko Guardado (The Goldbergs) as Beto, and Elle Paris Legaspi (To My Family) as Valentina.